This image shows what a little hard work (and a few steroids) can do if you put your mind to something. Dr Jeffrey Life – yes, that’s really his name – may be eligible to draw his pension and what hair he has left is white. But take a look at the 69-year-old’s body and it looks like it belongs to that of a 30-year-old. He could even give 007 star Daniel Craig a run for his money. Dr Life has become the pin-up boy for the Cenegenics Medical Institute, a Las Vegas-based clinic that specialises in ‘age management’. Patients are put on a strict weight loss programme that includes dieting, exercise and daily injections of growth hormone. But not everyone taking part lives to a ripe old age. Dr Alan Mintz, founder of Cenegenics, died aged 69 due to complications during a brain biopsy. Some research also claims that growth hormone injections cause cancer, nerve pain, elevated cholesterol and even diabetes. Even so, Dr Life, now the chief medical officer at Cenegenics, maintains the procedure is safe. Among other things, he points to studies that suggest human growth hormone in low doses poses no cancer risk, if there is no pre-existing cancer. ‘Within the next ten years, maybe less, this is going to be thought of as mainstream medicine preventing disease, slowing the ageing process, preventing people from losing their ability to take care of themselves when they get older and ending up in nursing homes,’ Dr Life said. He has been seeking the body beautiful for at least a decade, it seems. 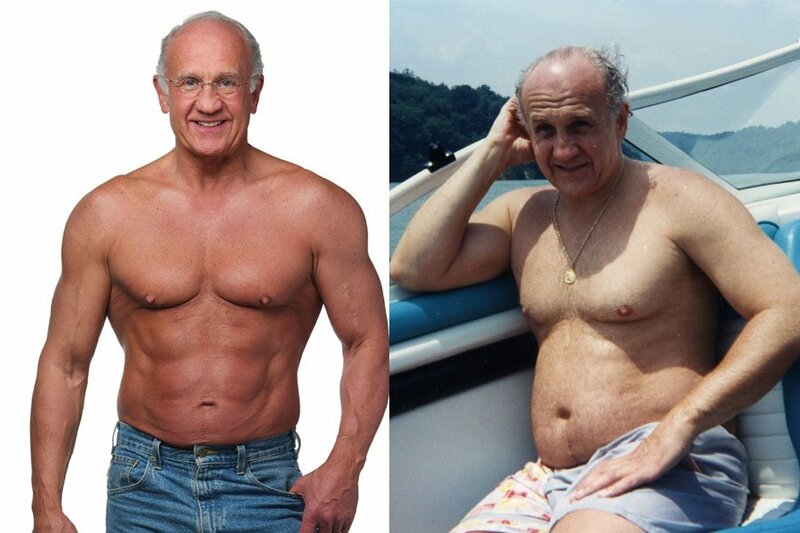 In 1998, Dr Life won a ‘healthy living’ contest based on a best-selling book called Body for Life – and appears to have developed his body-builder’s physique way back then. This statement is the type of rubbish i see all too often. It is a mixture of false facts and outdated information, combined this info can detour someone who could potentially be helped greatly by HGH and other steroids. I have run several studies about HGH ( I haven’t read them all but I have read enough) and the cancer relation was from the original form of HGH that has been off the market for many moons, so while I know this, the average Joe doesn’t and this can be all the difference in their choice. Yet they continue to write such phony statements. Now back to the positive of such programs, this could take a usually immobile grandfather and make him of use to his grandchildren who would love to play with him. It raises the bar for the quality of life at later ages, we could see 50-65 year old men running around like a 30 year old. It also has the potential to reduce and in some cases dissolve injuries and pain that was a huge oohindrance in the pursuit for greater mobility and endurance. Not only will this have an effect on the physical but as we all have seen athletics in all forms have a huge boost in moral and mental well being. To me it is a win – win situation if they just embrace the benefits of such therapies. As always this is just my opinion, take what you need leave the rest.